Posted November 10, 2011 by Tony Galvin, The Tuam Herald in News. The impact of Galway city’s new traffic management plans on drivers entering the city from around the county was one of the main points of interest for Co. Council members who met with their city counterparts at a Joint Policy Committee meeting on Monday. The controversial plan to replace a series of roundabouts with signalised traffic lights, controlled from a manned central office, is still causing problems for the City Council. The plan was only pushed through at the last minute when city Councillors were persuaded that the €6 million allocation for the city traffic management plan would be withdrawn if the project was not given the go ahead. 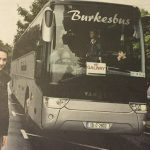 Now one member of the cit council, Cllr Padraic Conneely, has called on Transport Minister Leo Varadkar to open an investigation into the whole project. The plan is to replace seven roundabouts between the motorway and the hospital entrance in Newcastle with signalled junctions. Commuters coming in from Tuam, Headford and other parts of the county will hit traffic lights instead of the roundabouts they are accustomed to before entering the city. The expected 18 months of traffic jams while the transformation is being completed is already being compared to the nightmare motorists in Tuam have endured since work on their Big Dig began. Galway West TD Noel Grealish is implacably opposed to the changes as are many politicians representing constituents around the county. He told The Tuam Herald the impact on commuters coming in from Tuam and Headford as wel as from south Galway will be dreadful and add significantly to commuting times. Deputy Grealish said he ad no apologies for saying that the city plan is solely designed to suit traffic management in the city centre. The controlled traffic management system will be used to shut off the flow of traffic into the city whenever it suits them, irrespective of what chaos it will create on the outskirts. Chair of the Co Galway Joint Policing Committee, Cllr Mary Hoade, told The Tuam Herald that Monday’s meeting had been a very productive one in that it provided an opportunity for representatives of areas throughout the county to try and ascertain what impact the changes would have on commuters and people driving into Galway for business or pleasure. Considerable concern was raised over the potential inconvenience the replacement of the seven roundabouts will have on drivers from around the county. There are fears that incoming motorists will face long traffic delays, especially at peak times. Many of the concerns center on the possibility of serious delays on the N17 when the Tuam Road roundabout is replaced. This route not only serves Tuam and North Galway but takes traffice from Mayo, Sligo and many other counties to the north of Galway. The fear is that the long delays which are experienced at Claregalway will simply be repeated for motorists once they reach the city’s outskirts. However, planners have assured public representatives that the new traffic light system will be carefully monitored and is designed to cope with such traffic backlogs. 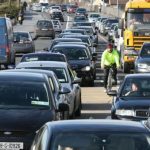 It was explained that similar systems are now in place in Dublin and are working well and politicians at Monday’s meeting were assured that the designers of the new system for Galway are confident that it will improve, not hamper, traffic flow. A commitment was given by City Assistant Manager Kieran Hayes that all but two of the roundabouts would be changed to traffic-light controlled junctions by July 2012, in time for the visit of the Volvo Ocean Race. Cllr. Hoade said that the decision to go ahead with the plan has now been made so they could only monitor progress and have faith that the designers are doing the right thing. Coming from Headford, she was aware of the concerns being raised but as was pointed out at the meeting, the city infrastructure if 20 years old and the number of vehicles it has to cater for has increased hugely since then. Both councils have been encouraged to look into better ways of encouraging people to use public transport and investigate the possibility of providing park-and-ride facilities.